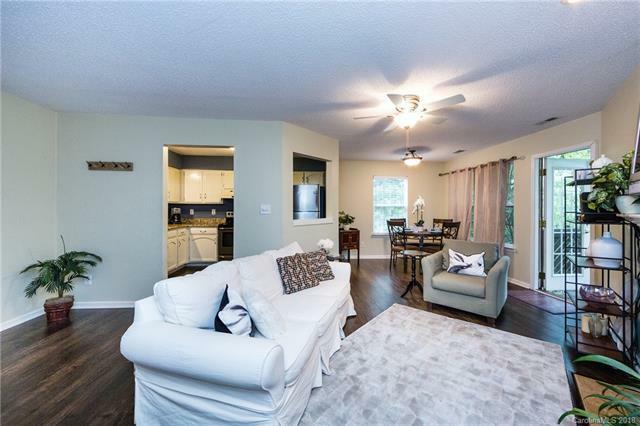 6501 Clavell Lane, Charlotte, NC 28210 (#3442724) :: Caulder Realty and Land Co.
A BEAUTIFUL RENOVATED 2 BED W/LGR DBL VANITY BATH, WOOD FLRS, GRANITE COUNTER IN KIT & BATH, STAINLESS ST, LGR WALK-IN CLOSET, WAS/DRYER, GREAT DECK IN AN AMAZING LOCATION! Quiet secluded end unit surrounded by trees. Master & Living room open up to deck, community pool, tennis courts, close to Sugar Creek Greenway. 2.5 MILES TO SOUTH PARK MALL, WHOLE FOODS, REGAL THEATER, TONS OF SHOPPING AND DINING W/IN MINUTES. One check pays all your living expenses! Convenient to I77, airport, shopping mall, etc. Sold by Leonard & Cauthen Appraisers.